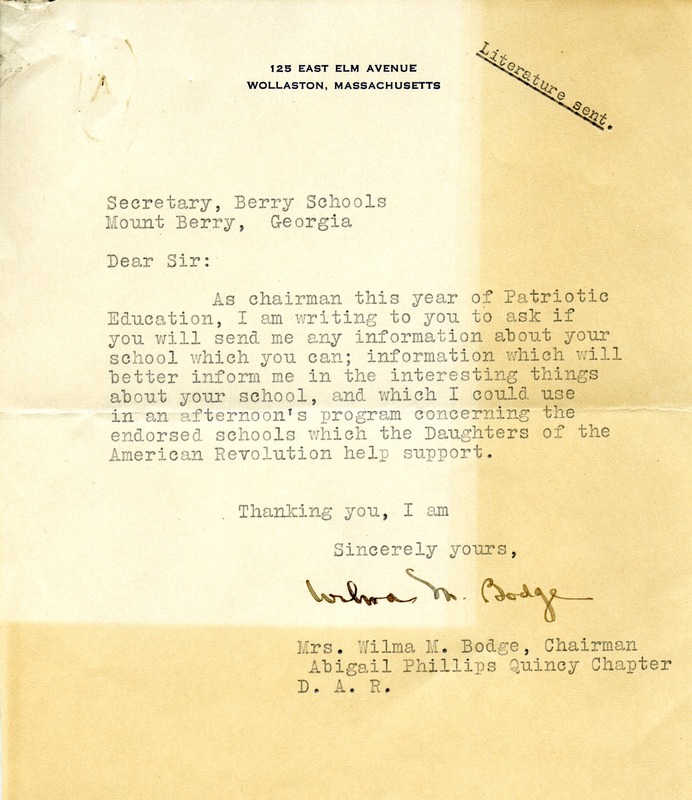 Mrs. Bodge writes to the secretary of the Berry school asking for information about the school so that she could use it in an afternoon program about the schools that the DAR supports. Mrs. Bodge, “Letter to the Berry Schools from Mrs. Bodge.” Martha Berry Digital Archive. Eds. Schlitz, Stephanie A., Rachel Renaud, Aaron Jackson, et al. Mount Berry: Berry College, 2012. accessed April 20, 2019, https://mbda.berry.edu/items/show/7133.